This week, Pat is joined by Antonio and Bryan to talk about some recent comics! Lots of good stuff out there, and we’re here to spotlight some of the books we’ve been enjoying. 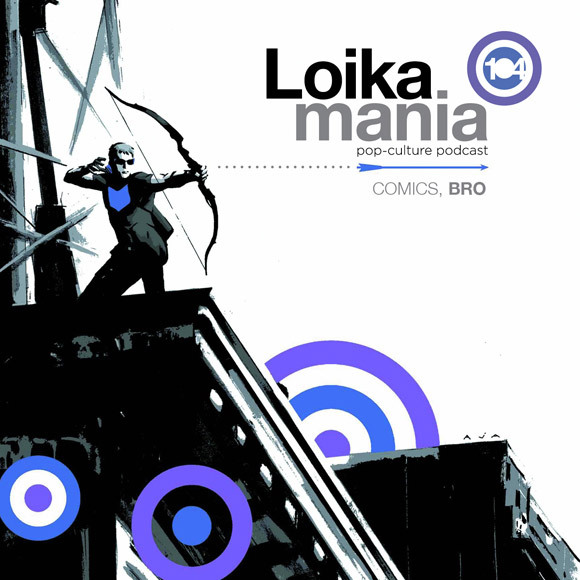 We talk about Transformers: Regeneration 1, New Avengers, Walking Dead, Revival, Bloodshot, Incredible Hulk, Batman, Wolverine and the X-Men, Wonder Woman, Spider-Men, and of course, our favorite: HAWKEYE by Matt Fraction, David Aja and Matt Hollingsworth. Lots of fun discussion and quite a few spoilers. You’ve been warned!